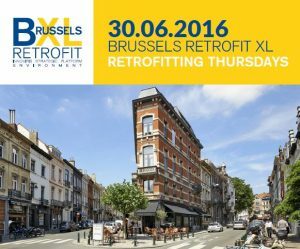 On Thursday 30 June 2016 the strategic platform Brussels Retrofit XL organises the launch of the interactive webtool: B³-RetroTool. The tool B³-RetroTool is the result of three years of research work conducted by UCL and ULB in the context of the project B³-RetroTool. The interactive pre-assessment tool uses a multi-scale and multi-criteria approach for sustainable retrofitting of dwellings built before 1945 in Brussels . It enables a clear visualisation of existing dwelling stock in Brussels and can support major stakeholders and public institutions of the region in their efforts to define retrofitting strategies. This session focuses on presentation of the online tool by discussing its potential and functionalities. Different case studies will be presented to illustrate the practical use of the tool. Place to be is the CSTC-WTCB Brussels meeting center (Avenue Poincarélaan 79) in Brussels. Participation to the event is free, but registration is required before June 23rd, 2016 under ‘Upcoming events‘ on this website. For more information check out the flyer here. Already today, the tool is freely accessible at: www.brusselsretrofitxl.be/projects/b³-retrotool/. Do not hesitate to already take a look and start using the tool !